Being part of the diving industry is a career you can truly enjoy. As an SSI Dive Professional, you are in control of your own destiny. Whether you choose to continue your education, start a new career or add something wonderful to your life by working part-time, being a Dive Professional is a very rewarding experience! Remember how it felt the first time you got in the water? Relive that amazing time with others, share their experiences and at the same time, earn extra income! You can have a career in parts of the world you only dreamed of doing something you truly enjoy. You can make a difference. As a Dive Professional you can help the diving industry continue to grow and thrive. Each new person that you train is a potential long-term customer for you, as well as the diving industry as a whole. By utilizing SSI’s advanced teaching techniques, “Comfort through Repetition” and “Diver Diamond Methodology,” you will have what it takes to develop committed, lifetime divers. Each of our Dive Professional Training Programs is based on our Diver Diamond Methodology, which focuses on the proper knowledge, skills, equipment, and experience required in helping you become a highly qualified instructor. Proper Knowledge. SSI’s Dive Professional Training Programs will help you acquire the knowledge to help new divers become confident and comfortable underwater. Proper Skills. 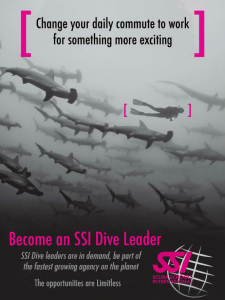 During SSI’s Dive Professional Training, you will learn from an experienced instructor who will teach and mentor you. Their goal is to make sure you are a comfortable and confident teacher. Proper Equipment. You will learn the specific equipment requirements for your dive store.  This information will help in teaching your students about the importance of owning their own diving equipment, as well as selling them Total Diving Systems. Proper Experience. Your mentor has a wealth of experience to share with you that would take years to learn on your own. SSI’s Training Standards and Teaching System are the perfect blend of structure and flexibility. We teach you to be a professional educator capable of making adjustments to meet the challenges of your geographic area and the needs of your students. SSI’s Dive Professional Training Programs will teach you what it takes to work successfully in the retail environment, the ins and outs of the diving industry, how to sell dive trips and equipment, and what it takes to produce confident, comfortable divers. You possess business knowledge that other candidates don’t. Our expanded course content gives you an edge over “teaching only” programs which makes you a much more valuable, well-rounded employee. SSI is one of few training organizations worldwide which holds a Global ISO Certificate (International Standards Organization). Five SSI programs for divers and two for dive professionals received the confirmation that they fulfill the international quality standards (ISO Norm 24801-1 to-3 for divers and ISO Norm 24802-1 to -2 for dive professionals). That’s why the SSI C-Cards may carry the ISO quality label as one of the few in the entire industry. This means for you that SSI is recognized anywhere you would like to dive. 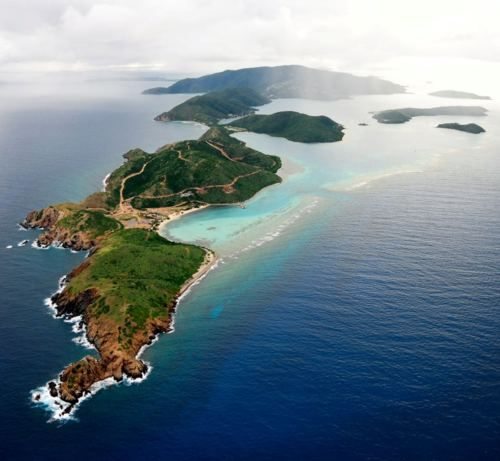 Dive BVI is proud to be a Diamond Instructor Training Center. We offer a great opportunity to learn from some of the industry’s best and brightest while also getting actual work experience at a busy Caribbean Dive Center. Dive in the morning, class in the afternoon, homework by the pool. That’s the way it should be done! For more information, please email Jeff McNutt, SSI Training Director at jeff@divebvi.com.